Ms. Steiner performed for most of her life. When Jacqueline Steiner wrote most of the lyrics in 1949 for what is popularly known as “Charlie on the MTA,” she considered it a “toss-off, an occasional song that would soon be forgotten” — a fate much like what befell poor Charlie, who was trapped forever on the subway. Instead, it became one of the best-known Boston songs — rivaled only by such anthems as “Dirty Water” — and the namesake of the modern-day MBTA’s CharlieCard. After the Kingston Trio recorded a hit version in 1959, fans across the country sent the Metropolitan Transportation Authority envelopes stuffed with nickels to help Charlie pay the 5-cent increase in an exit fare and end his eternal ride. He’s the man who never returned. Ms. Steiner was 94 when she died of pneumonia Friday in Norwalk, Conn., where she had lived since 1980. “I am continually amazed that people — it doesn’t matter where they’re from — still know the song, which we wrote all those long years ago,” she told the Globe in 1998. That was the year Walter A. O’Brien Jr. died. It was on his behalf that Ms. Steiner and Bess Lomax Hawes penned what is officially titled “MTA” — a campaign song for O’Brien, a Progressive Party candidate who finished last in the Boston’s 1949 mayoral race. O’Brien opposed the MTA’s 5-cent fare increase, but that resonated too little in an election most remembered as the first time John B. Hynes defeated James Michael Curley. The song’s original last verse, which Ms. Steiner recorded in 1949 with others in the group Boston People’s Artists, included a plug for Walter O’Brien’s campaign. In the Kingston Trio’s somewhat reworked version, the first name “George” was substituted — probably as a hedge in the red-baiting McCarthy era, when name-checking a progressive like O’Brien could prompt radio stations to avoid playing a song. As the train comes rumbling through. Therein is the song’s appeal. Charlie is an everyman — a harried commuter burdened by bureaucracy, shackled in a literal sense by government’s increasing costs. Such weighty thoughts aren’t the usual fare of runaway hits, which made the success all the more surprising. An only child, Jacqueline Steiner was born in New York City on Sept. 11, 1924, and grew up in Greenwich Village. Her mother, Jane Lippert, had been a phone operator, and her father, Joseph Steiner, was a clothes salesman. Ms. Steiner graduated from Vassar College with a bachelor’s degree and went to Radcliffe College for graduate studies, which she left before finishing a master’s. In Cambridge, she began singing with musicians at a house where Hawes lived. At the time, Ms. Steiner was raising money for Spanish Civil War refugees through the Joint Anti-Fascist Refugee Committee, according to“Did He Ever Return? The Forgotten Story of ‘Charlie and the M.T.A.,’ ” which Peter Dreier and Jim Vrabel published in the journal American Music. Two brothers at the musical gatherings, Sam and Arnold Berman, came up with an idea for a song about the MTA’s move to charge riders an extra nickel if they exited at stops above ground. Borrowing a melody from a song Hawes had performed with the Almanac Singers, Hawes and Ms. Steiner worked up a campaign tune for O’Brien’s campaign. In an early draft, Ms. Steiner used the name “Angus,” which was quickly discarded because “it suggested the stereotype of a skinflint Scotsman,” Dreier and Vrabel wrote. The Boston People’s Artists recorded “Charlie” at the Ace Recording Studio on Boylston Place, and it debuted in the mayoral campaign’s closing weeks. Ms. Steiner married Arnold Berman and moved to New York City for his studies. They divorced a few years later, and she married Myron Sharpe, a book publisher. For many years, she was an editor, including at his publishing houses, even after they divorced. She eventually settled in Norwalk, where she was involved with the local NAACP chapter. Ms. Steiner was a longtime political activist who performed concerts in the Soviet Union during her honeymoon with Myron, with whom she had two children — Susanna Sharpe of Austin, Texas, and Matthew Sharpe of Brooklyn, N.Y.
She sang in choirs in Connecticut, performed at churches and synagogues, and continued to give concerts into her 80s, when arthritis curtailed her ability to play guitar. 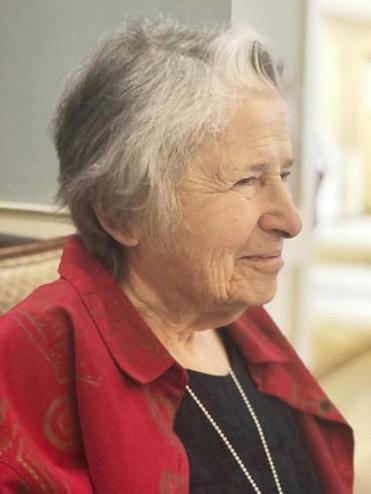 Ina videoposted on YouTube that Jim Michaud made for a Boston Herald story, Ms. Steiner’s voice is clear and strong at 87 as she sings verses of “Charlie” unaccompanied. She had no interest in stopping. A service will be announced for Ms. Steiner, who in addition to her two children leaves five grandchildren. Though she largely left Boston behind not long after the 1949 campaign that brought about “Charlie on the MTA,” Ms. Steiner’s song became part of the city’s cultural heritage, covered by scores of musicians including theDropkick Murphys. Royalties offered a “nice extra comfort zone” financially, she told Dreier in 2007. “I feel as if I should go back to Boston and ride the MTA again, just out of loyalty,” she said with a laugh in the 1959 Globe interview. Bryan Marquard can be reached atbryan.marquard@globe.com.